This is by no means an exhaustive list for all the various applications, extensions, and tools for Merch by Amazon, Amazon’s print or demand platform. But I think I’ve included the best Merch tools here. I was amazed at how many Merch tools there are. I apologise but there is no way I’ve included all of them in this article. If you think I’ve missed out something important, please let me know so I can include it. We have to start with Merch Informer! Merch Informer is the big daddy of all the Merch apps. It’s a suite of tools to help research, create, and publish designs on Amazon. It’s not free. Paid subscriptions start at $9.99/month. One of Merch Informer’s most used tools is Merch Archive. It helps you plan months in advance based on last years best sellers which is useful for high tier sellers. The Merch Hunter module displays the best-selling merch on Amazon. Enter a keyword and see the most popular shirts in that niche, or even view all the best sellers across the entire store. The results include estimated monthly sales and number of product reviews for each shirt. If you’re short of ideas, Merch Hunter shows you what’s hot right now on Merch by Amazon. Publishing trademarked content on Merch by Amazon can lead to an account closure, even if you were unaware that the design or text on your t-shirts is protected. This Merch Informer module, Trademark Informer, combines with an extension for Google Chrome that will check all the text of each listing you’re about to publish. This check takes place on the regular Merch by Amazon upload page, so the only extra step you’ll have to complete is clicking on the MI Trademark Check button. Any infractions are highlighted. Careful though, this checks for trademarks only and not copyright infringements! It’s not just existing trademarks you have to worry about. It’s also trademarks that are registered after your shirt has gone live. To combat this, Merch Informer’s Trademark Hunter tool allows you to check your old uploads to see if any violations have occurred. Instead of purchasing design applications like Photoshop and Illustrator, you can save time by creating designs for your t-shirts, hoodies, and pop sockets with this Merch Informer module. With a good selection of fonts, clipart, and templates, as well as the ability to upload your own images, the Product Designer tool has everything needed to get started. I can’t go into all the Merch Informer modules here but I wanted to give you some idea of what you get with that premium subscription starting at $9.99/month. Creating Merch listings can be very time consuming. 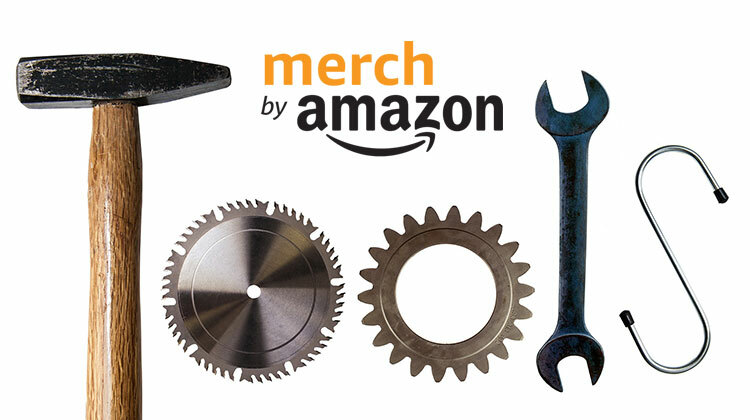 The following listing tools for Merch by Amazon can help you save time and effort. Merch Buddy is a paid extension for Chrome that speeds up the process of creating multiple listings on your Merch by Amazon account. With just one click, you can copy the text from one of your listings into another. Merch Buddy can also copy content from a Google Sheet into a product listing. In the video above I show you how to create multiple t-shirt listings in multiple tabs as well as converting t-shirt listings into other Merch product listings (long sleeve, premium, sweatshirt, etc.) using Merch Buddy. Paid one time fee: $40. You can bulk edit the prices of your listings with Merch Factor Pro by downloading, editing and uploading CSVs. A tool for those with lots of listings. An endorsement of this tools comes from a seller on tier 10,000! Merch Lister Pro is another paid tool that will transfer text from one listing into multiple new listings. This Chrome extension also lets you create multiple profiles, such as pre-defined color selections, that you can apply to a new listing at the touch of a button. Merch Lister Pro is available on monthly and yearly subscription plans or for a one-time fee. 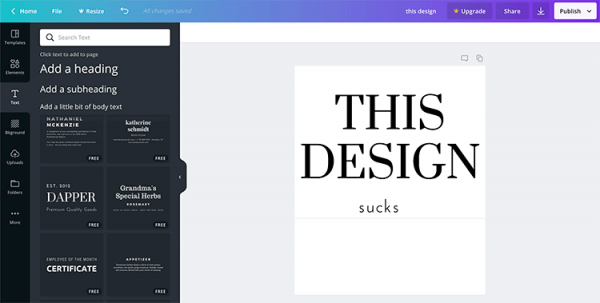 Enter a list of keywords for a design you’re working on and MerchAlong will generate multiple listings inserting those keywords into your pre-defined product listing templates. Paid subscription: starts at $10/month for 1,000 listings. 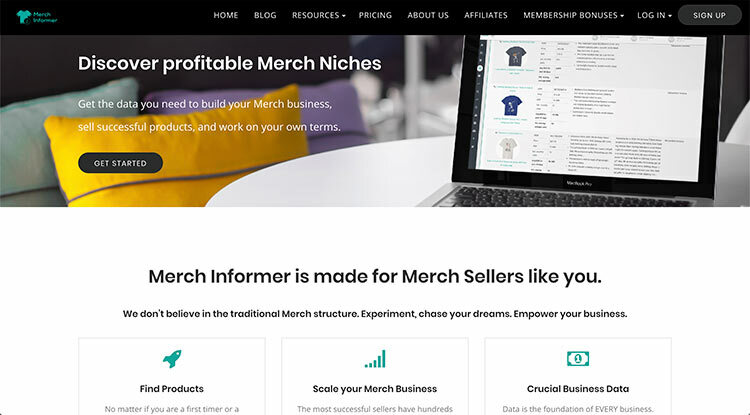 MerchWizard generates a database from your Merch by Amazon account data to help you understand your products and sales in more depth to find best sellers and spot sales trends. MerchWizard allows for the easy relisting of items that have been removed by Amazon after 6 months of no sales. It can quickly create listings for scaled designs using variables. On the organizational side, it automatically stores the PNG file alongside your listings data, so you will always have access to all of your PNGs. It provides the number of reviews each listing has and the average star rating, BSR, sales data, etc., and you can assign niches and tags – this functionality is available in the free Chrome extension. 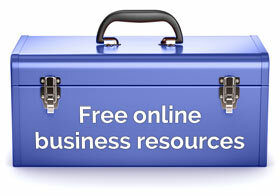 Free, but most tools are available as a paid subscription which starts at $9.99/month, $14.99/month recommended. As you move up into the higher tiers, keeping track of thousands of listings can be difficult. These Merch by Amazon tools let you search, sort, and analyze your listings to find your best sellers, hot niches, and products that need more attention. The free Pretty Merch Chrome extension enhances the Merch by Amazon dashboard for a better overview of your listings and sales. It also plays a cha-ching sound each time you make a sale! As well as the free Android and iOS apps, there’s also a Pro version of the extension with more useful features. Free and Paid subscription: $9.99/month, $96/year. The free Merch Legend Chrome extension lets you sort your listings by a range of criteria, including upload date, number of sales, and review count and ratings. This is particularly useful for finding products with bad reviews so that you can create nearly identical ones. The premium tool provides even more sorting and searching tools. Free and Paid subscription: $8.99/month, $79.99/year. The Merch Analytics Chrome extension adds new features to the Merch by Amazon dashboard to give you a better insight how your account and its listings are performing with the ability to group products by niche or sort them by popularity. The free Merch Pilot tool lets you quickly see which colors and styles are selling on your account as well as view your sales trends over a range of time periods. Merch Locker helps you keep track of your listings with its searching and sorting features while also backing up your listings to their cloud storage. Thanks to this, if you ever lose a listing or your entire account, you’ll still have access to your descriptions. Free 7 day trial, then Paid subscription: $5.99/month for 50 designs; $9.99/month for 500 designs; $19.99/month for 3000 designs. You don’t have to be an expert Photoshop or Illustrator user to create successful t-shirt designs for Merch by Amazon. Thanks to a good selection of free and paid design tools, everyone should be able to quickly produce designs on a range of devices. Canva helps you create designs for your t-shirts and other merch for free, with the option of paying to access more items and features. One particularly helpful aspect of Canva is the ability to set the size of the images you’ll be creating for compatibility with Merch by Amazon. Free website; Paid subscription for more features: $12.95 per month (per user), with a 23% discount if the user pays annually. Over is a free app for iOS and Android with paid upgrades that lets you quickly create text and image-based designs on the go. Simply select a background image or work on a blank canvas, then choose a font and add some text. Wordswag is another free Android and iOS design app with paid extras that’s popular among Merch by Amazon designers. If you want total creative freedom, a desktop design app is the best option. Although the paid apps from Adobe are widely considered the industry standard, software like Gimp and Affinity Photo show that there are good free and low-cost alternatives to Photoshop and Illustrator. Simply drag and drop your shirt PNG files onto the Merch Resize website and the image dimensions will be changed to the right size for hoodies and pop sockets. Your designs are apparently NOT saved on their server. Make Merch is a paid membership site that allows users to create Merch-ready designs in their browser. Free website, currently in beta. The browser-based Merchinator lets you quickly modify the appearance of your existing designs for reuse on new products. Paid subscription starting at $9.99/month. Merch Informer members also get access to a browser-based t-shirt design tool with lots of fonts and clipart to work with. See above. These tools can prevent you from putting your Merch by Amazon account at risk by publishing trademarks in your designs. There’s also a tool that notifies you of new trademark registrations that will affect your existing listings. Enter single words or strings of text into the online form on the TMHunt website to find out if a clothing-related trademark has been registered. Search the United States Patent and Trademark Office (USPTO) database to check if your t-shirt text is trademarked. 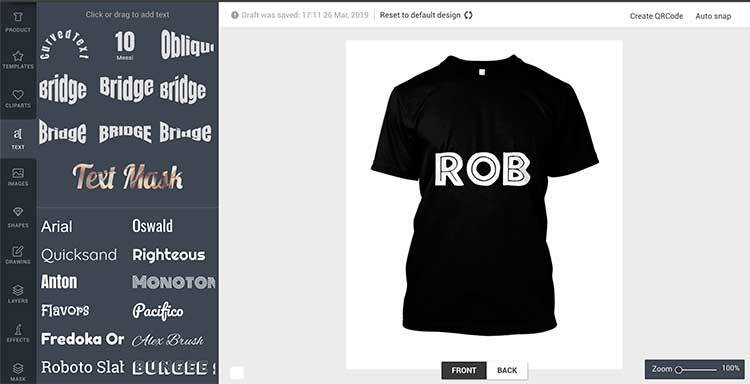 Avoid getting caught out by trademarks issued after publishing a t-shirt by letting the Merch Informer Trademark Hunter module monitor the words and phrases you’ve used in your designs. Merch Informer users can also check their new listings in real time by using the Trademark Protection extension for Chrome. See above. Research is arguably the key to success with Merch By Amazon and these are the best research tools for Merch By Amazon. Some tools provide you with keyword search volume data. However, this information usually comes from Google’s search tools, rather than Amazon itself, as this data isn’t generally publicly available so it shouldn’t be relied on too heavily. AMZ Suggestion Expander is a free Chrome extension that increases the number of suggestions displayed in the Amazon search bar. This lets you see terms related to your initial keyword, giving you lots of data-backed inspiration for your designs. After installing the free DS Amazon Quick View Chrome extension you’ll be able to see key information about the products listed in the Amazon search results, including their BSR sales rank. Hovering over the product images reveals further useful information, such as which categories the item is listed in. This all saves you from having to click through to a product to see how well it’s selling, making it quicker to find designs that are generating sales. 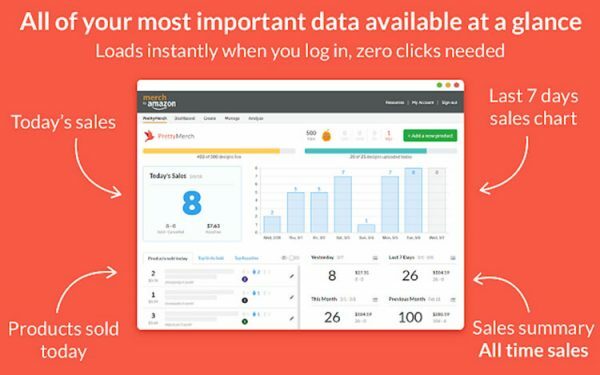 This free Chrome extension displays how many times per month, people are searching for the keywords you enter into the Amazon search bar. A competition rating is also displayed, giving you an idea of how many products are trying to get listed for that keyword. More useful data is displayed when you make Google searches. Keyword Tool Dominator aims to help you find long tail keywords your audience is searching for. Once you’ve signed up for a free trial account at the Keyword Tool Dominator website and installed the also free Chrome extension, you can enter up to three keywords a day and see the related search terms for each one. To unlock unlimited searches, you can currently buy the full version of this Amazon keyword research tool for $58.79. Ubersuggest is a web-based research tool that displays keywords related to the terms you enter. Most of the data displayed alongside the keyword suggestions won’t be relevant to merchandise designers. However, you can easily choose which geographical region the results are pulled from, making Ubersuggest useful for anyone seeking inspiration for markets outside of the US. There’s nothing to install or anything to sign up for so you can get started right away. So far I’ve concentrated on apps and tools specifically for Merch by Amazon. But there are plenty of other Print on Demand (PoD) / merch platforms out there. 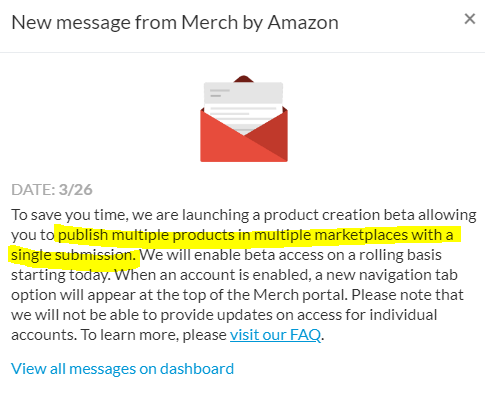 It usually makes sense to upload your successful Merch by Amazon designs to other PoDs. And these tools can help you do that! Well, that’s quite enough for one blog post. As I say, please let me know in the comments a particular tool or app you love to use in your Merch By Amazon business. Get over 50% OFF my new course on Merch By Amazon, an Introduction to Selling Print On Demand Products. The course covers everything about Merch, applying, niche selection, design, and more! I also have a course Adobe Photoshop and Adobe Illustrator for Merch By Amazon which teaches you how to make beautiful t-shirt designs that sell in both Photoshop and Illustrator. Get 60% OFF now with this link. These tools and apps are amazing and very useful for everyone.